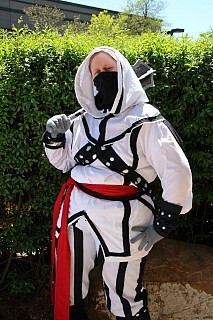 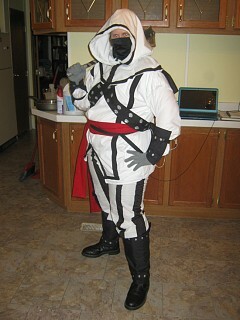 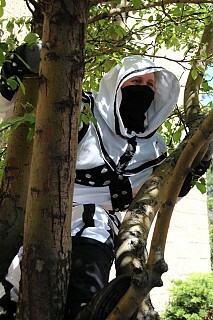 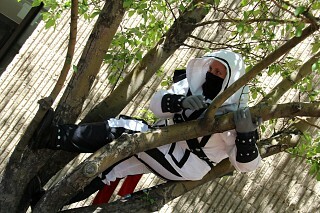 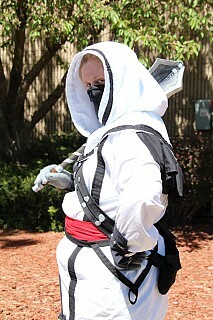 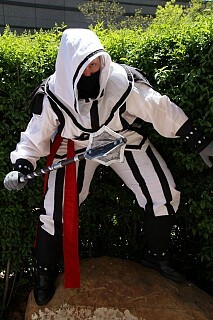 ZOMG A NEW ASSASSIN'S CREED COSPLAY YAAAAY!!! 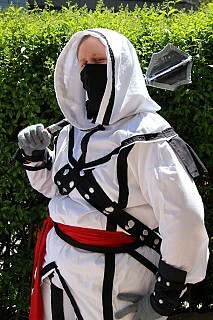 This cosplay, amazingly, didn't take very long. 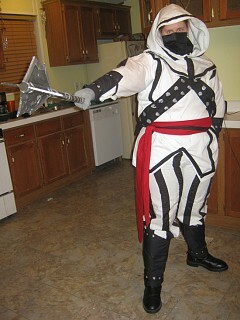 The outfit itself took about 3 days total, and I made the mace all in one night. 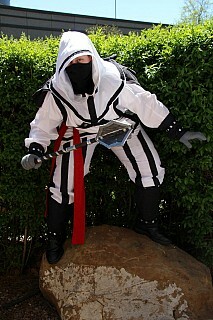 The pants were striped myself. 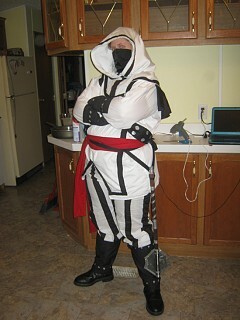 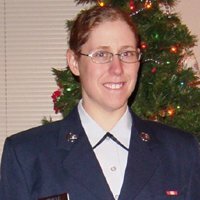 I made a white base, then added 5 black stripes for each leg before sewing them together and adding a front tie instead of a zipper.